Every company is slightly different so we recommend scheduling an intro call to help customize a plan for you to maximize your team's usage of the Premium Review Manager. 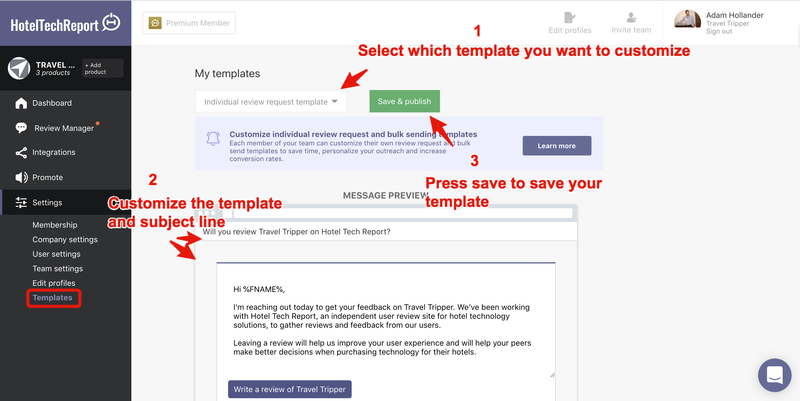 Enable your team to customize their automated review campaign templates to personalize your outreach and increase conversion. Respond to Reviews: Respond to reviews to improve your reputation and show prospects you care. Mitigate negative reviews by providing more context and recover with unhappy clients by showing them you're there to help. Assign tickets: For companies with large clients this is often the most valuable feature. Assign clients to their client representative and easily filter your view to only your clients. 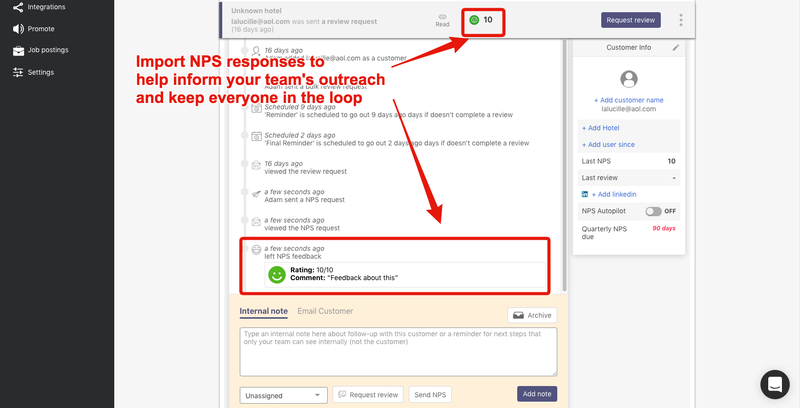 Team notes, Private follow-up and NPS Surveys: Enable your team to collaborate seamlessly around your most valuable asset, clients by turning your Review Manager into a full blown customer success tool. 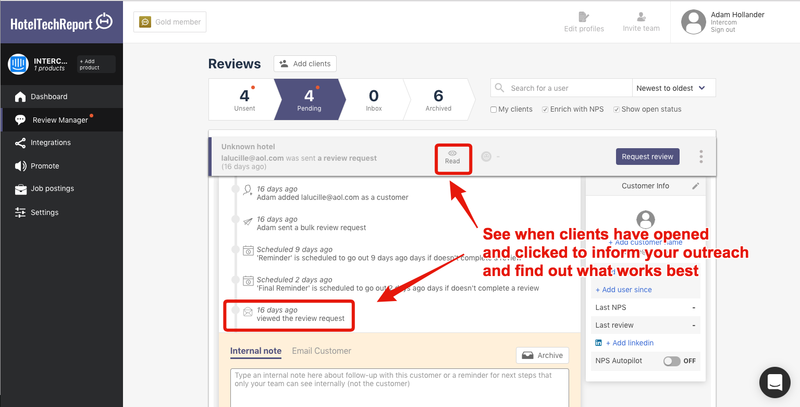 Invite your client reps to use the Review Manager to take notes, follow-up privately with clients and even send NPS surveys to gather private feedback and get a pulse on your customers. Quick search and filter: Easily search through large lists of hundreds or thousands of users with searching and quick filters. Team leaderboard: Gamify review gathering by motivating your team with a friendly competition to see who's clients have their back most.